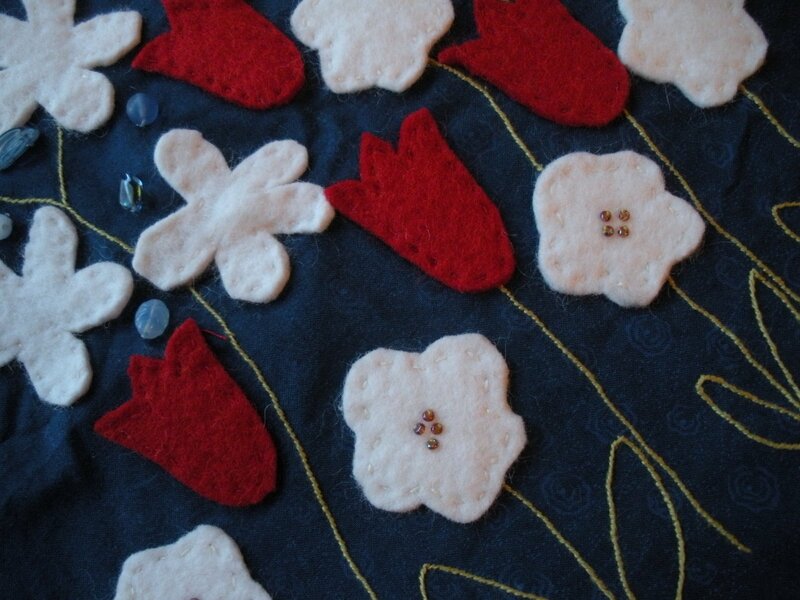 I’ve done some more work on the nearly completed, WIP since June 2008, Liberty Garden wallhanging. The beadwork is nearly done, and there is just a small amount of embroidery left to complete the center. 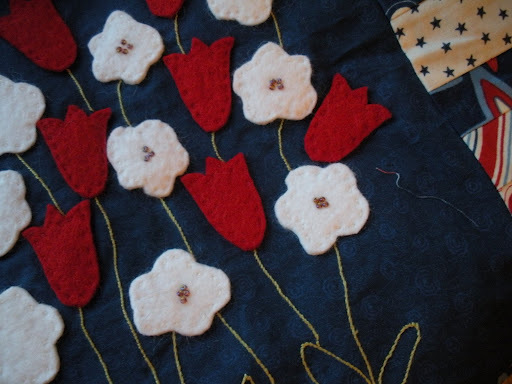 I’ve decided the border needs to be redone, so that will come off, a small red inner border will be added and the piano key border will be sewn back on. Then quilting and…drumroll, please…..hanging! Can’t reveal the rest of him just yet… He was made from a vintage transfer, posted on Flickr in the Hoop Love Vintage Transfer group. Probably a design originally from the 1930s. Ain’t he sweet?! Have you been doing any handwork lately? I’ve been trying to always keep a handwork project with me so that I can make use of any time I spend waiting, in the car, at a doctor’s office, etc. I’m not a patient person when it comes to just waiting, so this really helps make the time fly! Oh you are so talented!! 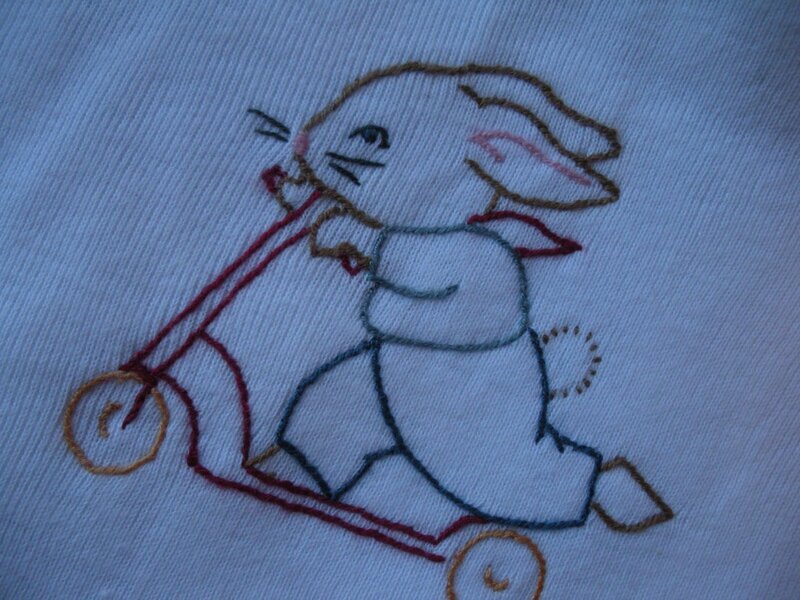 !I love that little bunny!